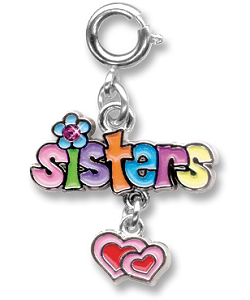 Show your sister how much you love her with this colorful CHARM IT! Sisters charm. 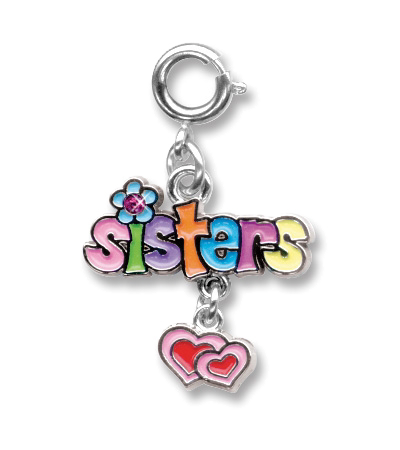 With whimsical letters of pink, green, purple, orange, blue, and yellow enamel, a sparkly red acrylic stone topping the "i" and dangling enamel hearts, your sister will love this special Sisters charm. With a simple snap of a clasp, girls can personalize their CHARM IT! jewelry with this fun CHARM IT! Sisters charm.